Malang - Bromo Tour Package 3 Day 2 Night - Malang become tourist destinations and vacation spots frequented by tourists, and Mount Bromo is one of the popular tourist destination in Indonesia. 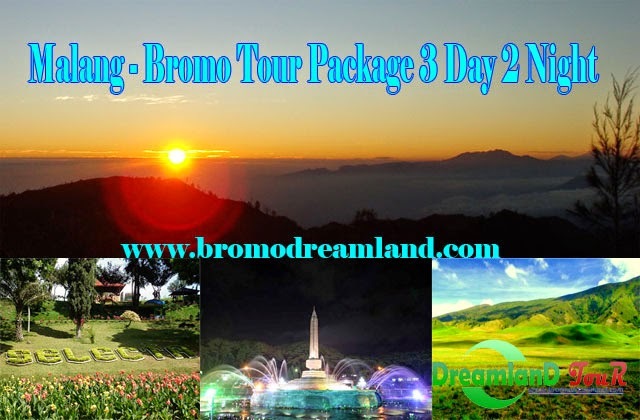 We’re Dreamland Tour also offers tour packages to Malang - Bromo at an affordable price and good quality. We are Travel Agent that specializes in services and transportation.Make your vacation more memorable time with a short time and with a planned destination so as not to waste too much of your valuable time. Tour Malang - Bromo will start from the point of pick-up at the time and place specified, in the Airport / Railway Station Surabaya / Malang. Then we will take the participants to the hotel in Malang to rest before the next day the tour will perform in the area of Malang - Batu. 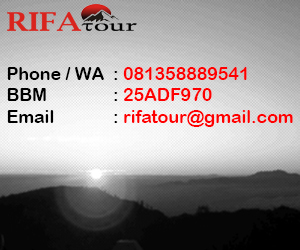 Tour will start at 08:00 on day 2 to the tourist sites in Malang - Batu accordance with the provisions. The roads leading to tourist attractions in Malang - Batu until finished, then our team will take the participants to the hotel in Bromo for a break before the next morning to do a tour to Mount Bromo. At 3:00 to 3:00 a.m. on day 3, the participants will woken up and can start using the Jeep Tour Bromo Bromo to the tourist locations in Mount Bromo to completion and will return to the hotel for breakfast / morning meal and a short rest before our team will take the participants to go home. - Participants will be delivered to the hotel in Malang to rest. - At 08:00 our team will take the participants to the streets in the tourist town of Batu in Malang to completion. - 3:00 to 03:30 o'clock in the morning, Jeep Bromo which will lead the participants to get to 2 or 4 tourist sites tourist sites that have participants choose (according to choice). - To finish then the participants will be delivered by our team to get back to the hotel and breakfast / morning meal and a short break. - After the completion of rest of our team will take the participants to return to the airport / train station in Malang / Surabaya and Malang Tour - 3 Days 2 Nights Bromo is Complete.